Have you ever wanted to get in shape, but you were just demoralized by the young, muscular, toned models effortlessly and energetically churning out rep after rep on the exercise video? 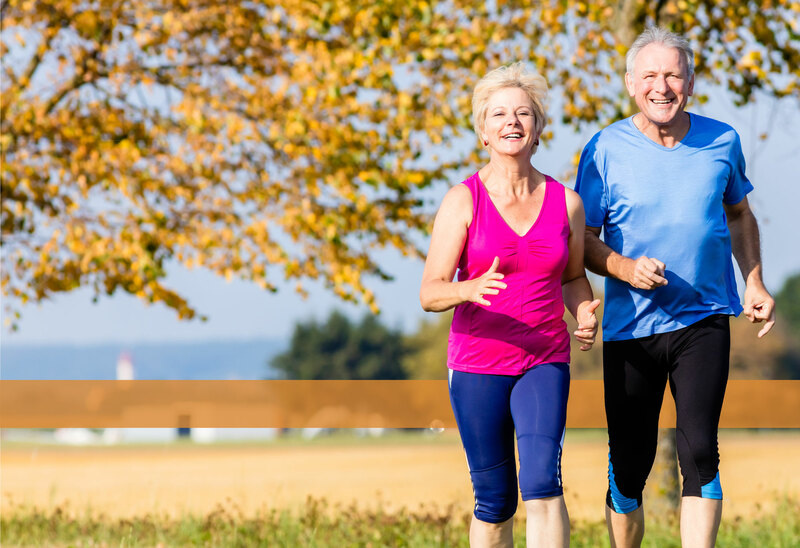 If you are over 50, you just need a different approach, especially if you haven’t been in shape for a while and want to get back in shape. 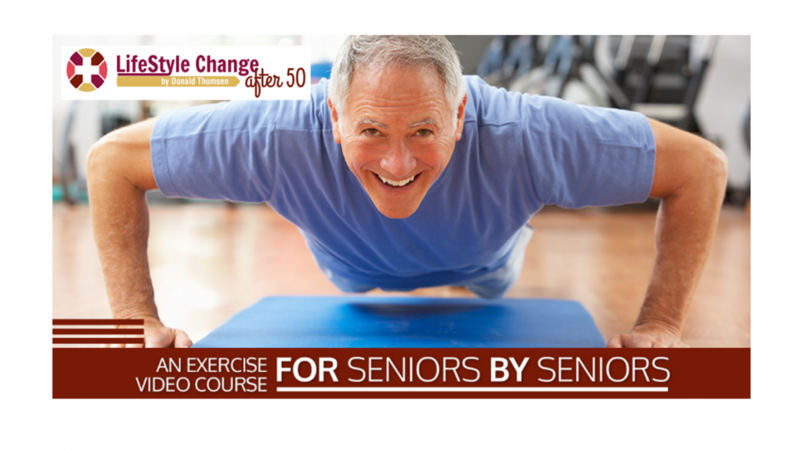 The LifeStyle Change after 50 exercise videos are designed and built by a senior, for seniors! My name is Donald Thomsen, and at the age of 75, I designed and developed a routine that got me fit, toned, and in shape in a matter of months. I understand the challenges of the aging body because I have one—but I didn’t let that stop me from pursuing fitness and health again. I knew that the program had to be easy, simple, effective, permanent, and most of all, fun. It worked for me, and I’m convinced that my exercise videos will help any person of any age reap the benefits of greater flexibility, strength, and muscle tone than you’ve ever dreamed possible. You may be thinking, “How do I know that these videos will work for me? Will they be at my level? Will they be easy enough for me to do? The exercise videos that you’ll get when you sign up for LifeStyle Change at 75 include an easy and a full version of each exercise, so that the whole program can be completed by someone with limited mobility, energy, and fitness. Have you given up hope that you could regain your strength because you just don’t have the energy any more and you’ve gotten so far out of shape? All you need is a gentle but effective program that leads you through the steps that will get you back on top of your game. This video fitness course provides the motivation you need along with the step-by-step instructions of someone who understands your challenges. And the challenges are real. When you’re older, you have bigger obstacles in your way, but the journey back to fitness CAN happen. When you join the Lifestyle Change after 50 Program, we don’t just tell you to do exercises; we take a look at your whole lifestyle. In this video series, we’ll take a holistic approach that takes into account all your challenges. It starts by identifying the problem. Benefits from the solutions to the problem. Getting fit again means that you’ll enjoy things that you used to take for granted when you were younger. If you knew what a transformation you could experience in just 90 days through the Lifestyle Change at 75 Program, you would be amazed. However, many people take a brief look at the potential transformation they could experience and then immediately go back to being daunted. The question is, are you going to fix your eyes more firmly on the benefits or on the cost? What if you could control most your health problems without the aid and side-effects of prescription drugs? What if you found an exercise program that worked for people over 50? What if you discovered what a healthy diet really is? What if you convinced yourself that you could really do the things necessary to achieve your goals? Getting started is easy. All you have to do is to sign up for our FREE Subscription membership. When you register on our website, you’ll get access to my Three-Step Video Series. You can unsubscribe at any time, and we will never share your contact information with anyone else.